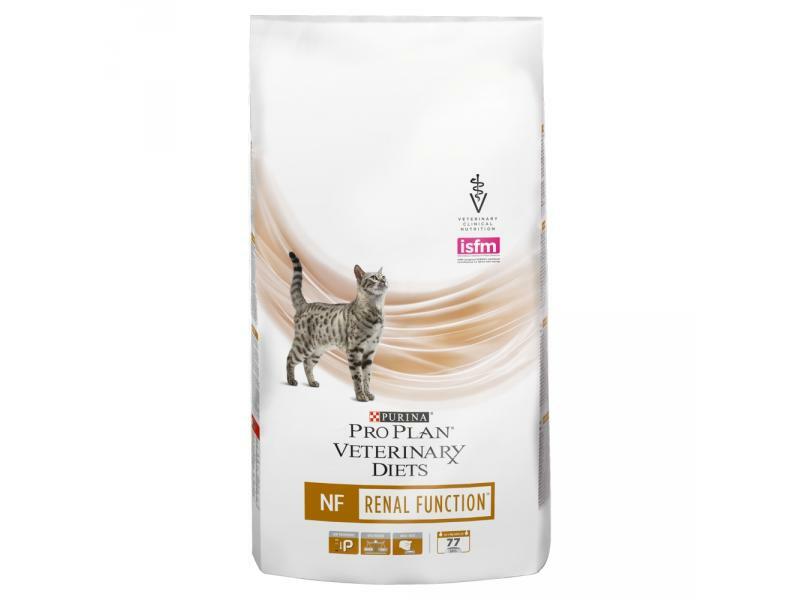 PURINA Veterinary Diets are scientifically researched foods that have been developed by nutritionists and vets to provide all that your cat needs to maintain health and growth. 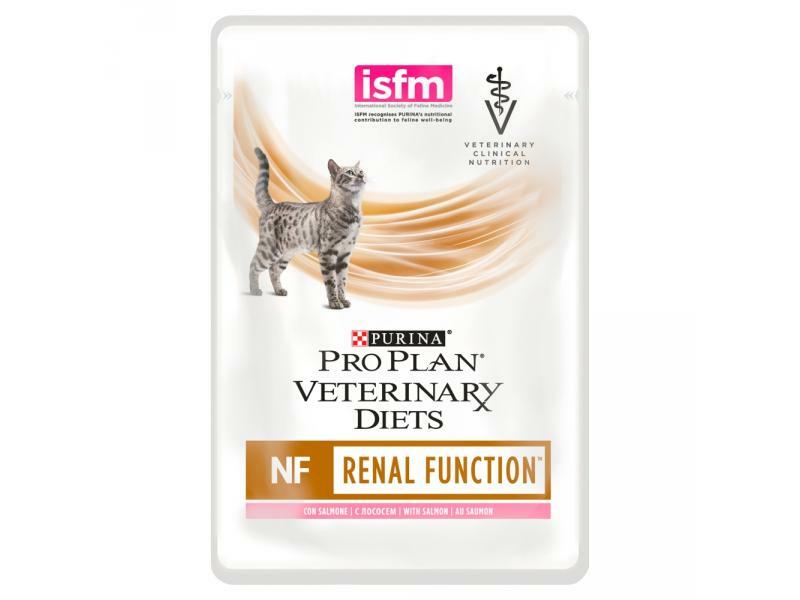 PURINA Veterinary Diets NF Formula is a complete diet for cats with chronic kidney disease. 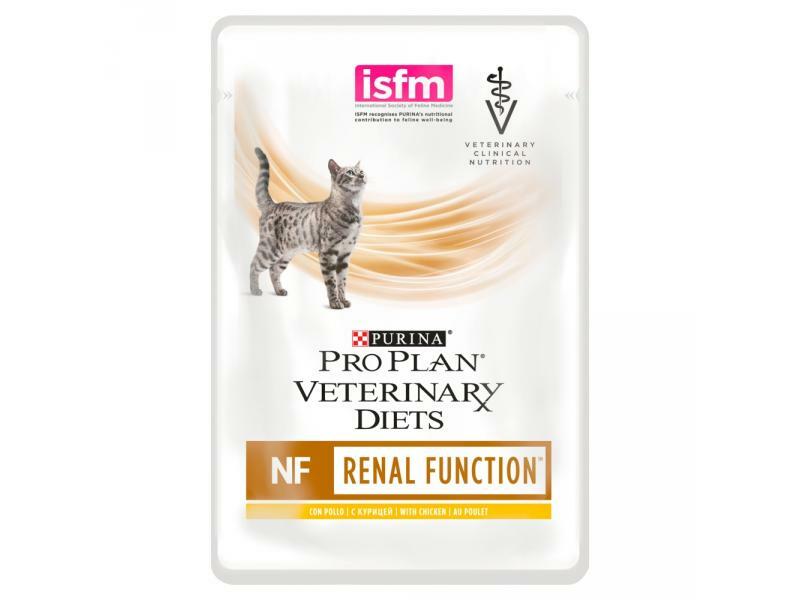 This tasty formula contains restricted amounts of phosphorus as it has shown to increase the progression of the disease. Maize*, rice*, soya meal*, wheat flour*, maize gluten meal*, animal fat, wheat gluten meal*, digest*, dried egg*, pea fiber, dried beet pulp, dehydrated poultry protein*, minerals, fish oil, yeast. Meat and animal derivatives, oils and fats, cereals, minerals, various sugars. Protein sources: pork liver, turkey, poultry heart & liver, rice flour. 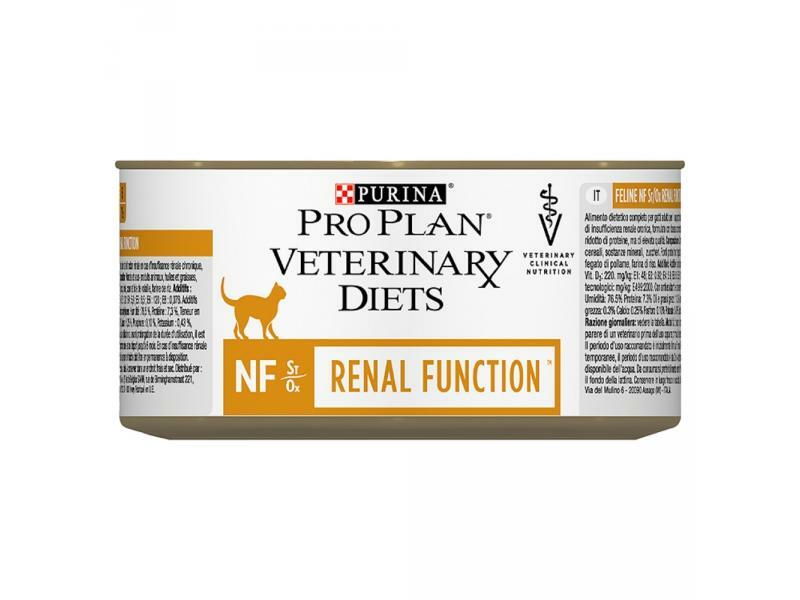 Below are some recent questions we've received regarding Purina Pro Plan Veterinary Diets NF Renal Function, including answers from our team. I have ever 3 adult cats, only one has kidney issues, is it safe for the others to eat her biscuits as it is almost impossible to keep them away from them? These are the "go for them" biscuits they all seem to love.